I recently had the experience of going back to 360GSP to undertake my VCP 5 training. 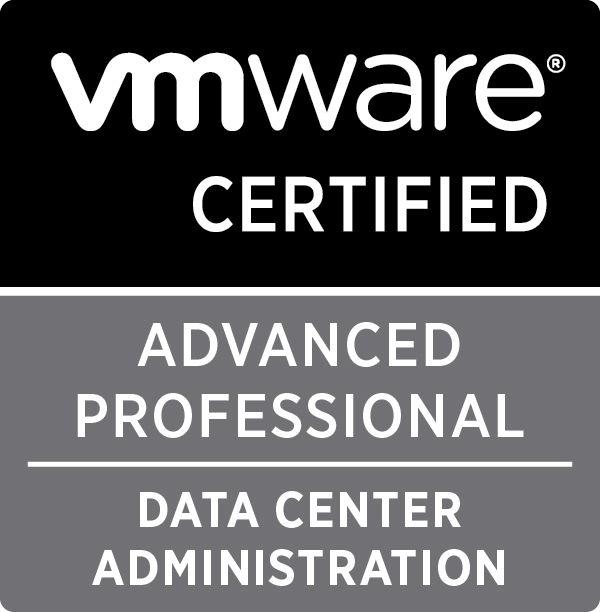 I had used them previously for my VCP 4 training and was more than impressed the first time around. So first things first, there have been some changes to the way that 360GSP run their VMware courses, previously they ran the VCP 4 training over 3 weekends, this time around however the VCP 5 ICM (Install Config and Manage) course is being run over 4 week ends, that’s 8 days of training where as if you go through most training providers they only do it in 5 days. For those of you who don’t know, the VCP tests more than what’s covered in just the ICM course, it’s expected that students will also use extra material to cover the shortfall in knowledge to pass the VCP5 exam, so by using the extra days study to cover extra material 360GSP are hopefully providing the extra boost to their students to help them a little further along with their study prep for the exam. Another thing that’s changed since my ICM 4 course was the class size, the new courses now have 16 students in the class (actually 17 in my class as one of their students who was booked on the course in the new year had to get bumped onto this course due to a change in circumstances), with 17 students on the class there was an initial shortfall in environments but the instructor came to the rescue with another ESXi test environment before the start of lab 2. One thing that was clear to me on this course is that the level of students ability on this course is much higher than I have seen on previous courses (not just with 360GSP but also other providers), it’s actually refreshing talking to other like minded people who actually know what the product does and how to use it. During my time on the course I also managed to have a long conversation with the owner of 360GSP (Sher) and it was refreshing to see someone with such passion for his company and staff, it’s obvious that 360GSP are wanting to expand on their training offerings but are being somewhat held back by a lack of more decent instructors (there are only so many days a man can work). The weekends we structured in such a way that course content was covered in a logical way and we weren’t left between subjects, this also allowed for a good mix of study and discussions between all of the candidates, it was really good to sit down during lunch and have a chat with Systems Designers, Architects and Engineers, the students are a mix of levels but all have a really good grasp on the various different aspects of the course. It’s obvious that VMware have dropped various subjects from the curriculum, unfortunately these subjects aren’t the type that, in my opinion, should be left out (for example DVS, Host Profiles, DPM) and it was the same with 360GSP, Dai took the time to take us through the lessons from the ICM 4.1 class so that the class had a better understanding of the missing subjects to aid us in the studying for the VCP5 DV exam. I have been very impressed with the level of instruction from Dai (who really should find the time to do his VCAP exams ) and the makeup of the students this time made for some very interesting class led discussions. This has been one of the best classroom based training courses I have attended for a while, sure the 400miles of driving every weekend (£100 of fuel ) is still taking it’s toll (not just on me but the car as well which I don’t like putting extraneous mileage on) but the guys on the course and the course itself were worth every minute. 10/10 to 360GSP for the class and instructor and 11/10 to the students who made up the class and made it really enjoyable. Hi! Although i must say i am not ready to embark on a course just yet, i will be researching what vmware is all about. Once i get hold of a copy of the software and get time to explore and be informally tutored by a good friend of mine i will consider getting myself certified. Your article has certain given reassurance on GSPs capabilities. 833 days, 19 hrs and 32 min.